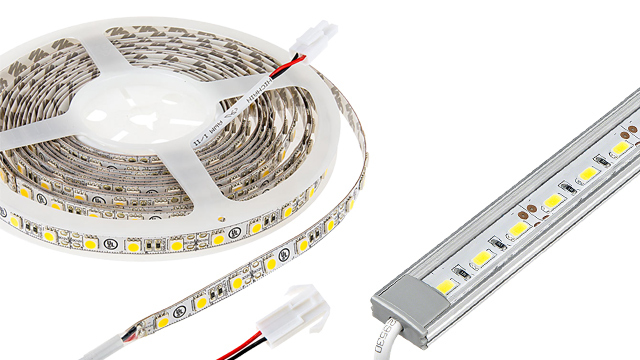 Side Emitting LED Light Strips - LED Tape Light with 18 SMDs/ft., 1 Chip SMD LED 335 with LC2 Connector: Gallery Showing Strip On In Red, Amber, Blue, UV, Warm White, Cool White, And Natural White. 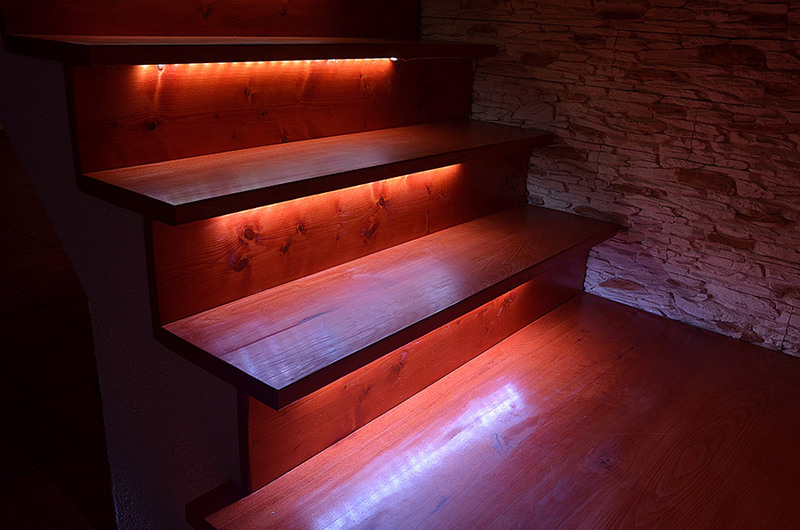 Side Emitting LED Light Strips - LED Tape Light with 18 SMDs/ft., 1 Chip SMD LED 335 with LC2 Connector: Shown Installed Under Stairs. 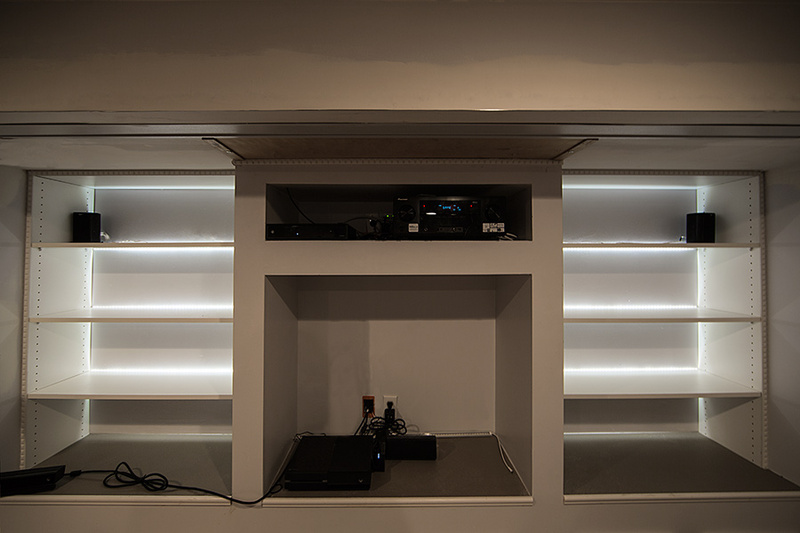 Side Emitting LED Light Strips - LED Tape Light with 18 SMDs/ft., 1 Chip SMD LED 335 with LC2 Connector: Shown Installed In Shelf System. Thanks Todd for sending in this great application photo! 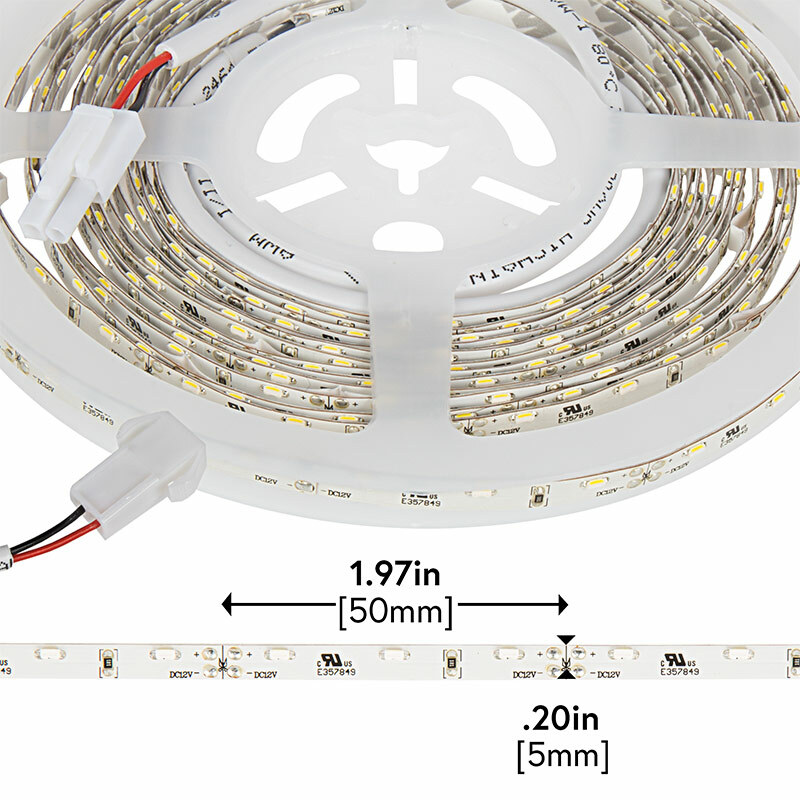 This flexible LED light strip is great for cabinet lighting, under-cabinet lighting, cove lighting, task lighting, bookshelf lighting, showcase lighting, cupboard lighting, bias lighting, interior vehicle lighting, or for other indoor applications where space is limited. 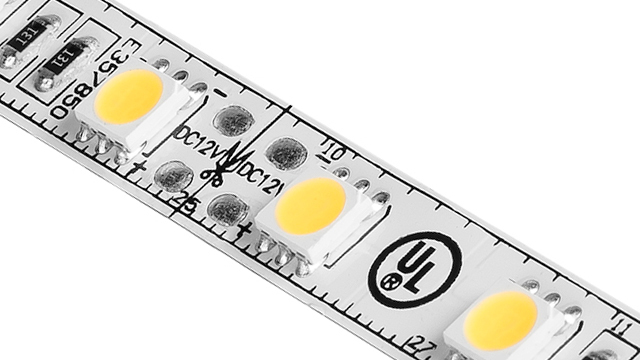 Using up to 300 LEDs (335 SMD), the side-emitting light strip emits up to 960 lumens of powerful illumination. 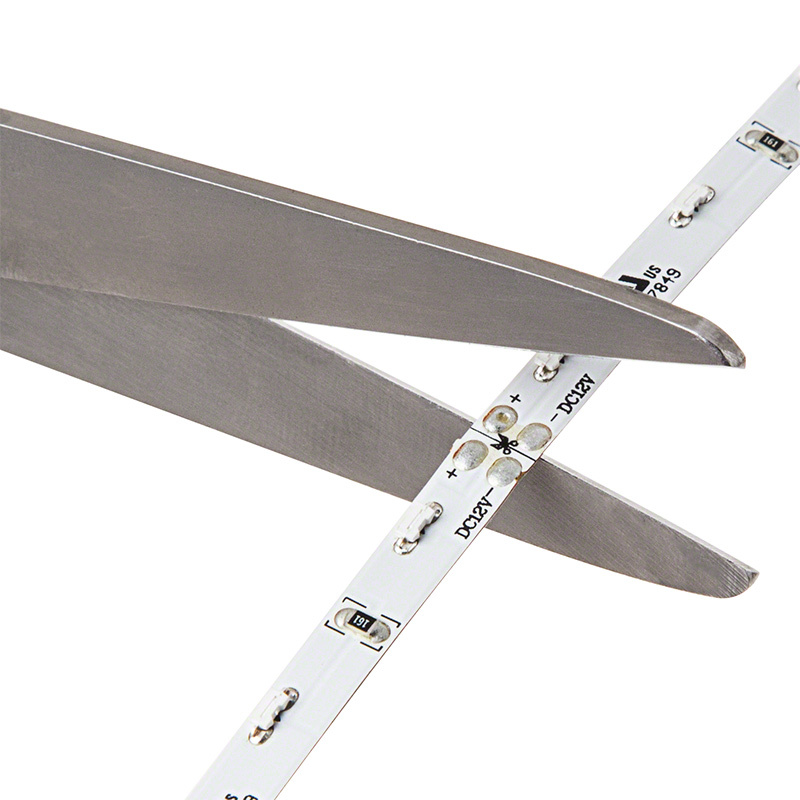 The 16-3/8' or 1-5/8' LED light strip is available with a white finish and can be easily cut into 3-LED segments and installed with its peel-and-stick adhesive backing. Attached LC2 locking connectors let you easily power and join multiple strips. 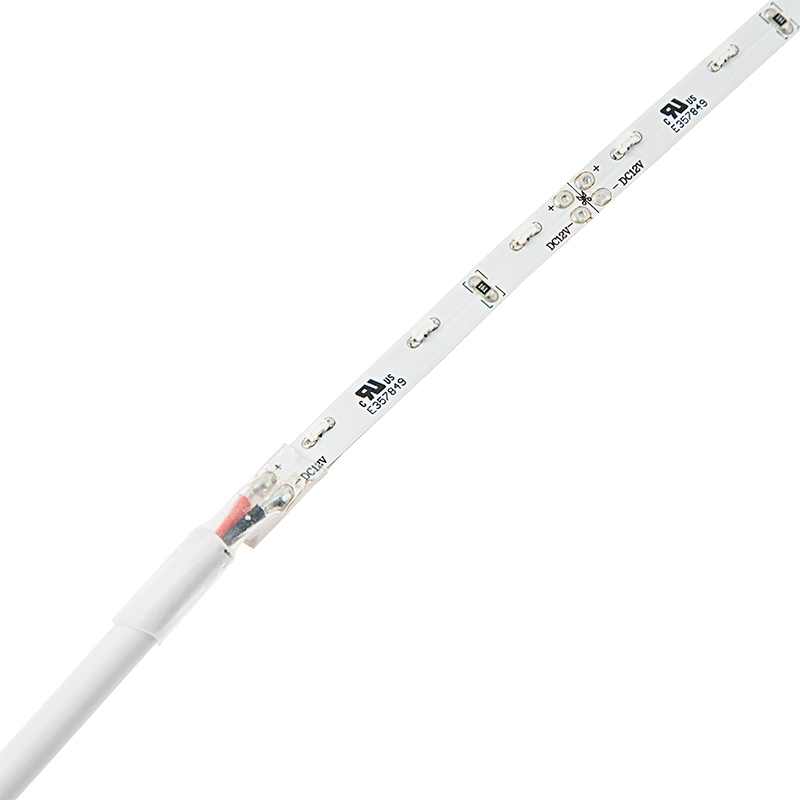 Designed to last 30,000 hours, the non-weatherproof light strip operates within a 9-14.8 VDC range and is available in cool white, natural white, ultra warm white, UV (blacklight), blue, amber, and red colors. 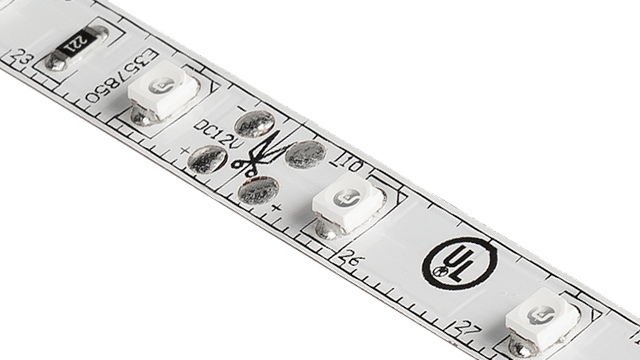 See compatible LED dimmers. Love these, do not cancel them! I purchased what looked like the same product from Alibaba and they were total crap. 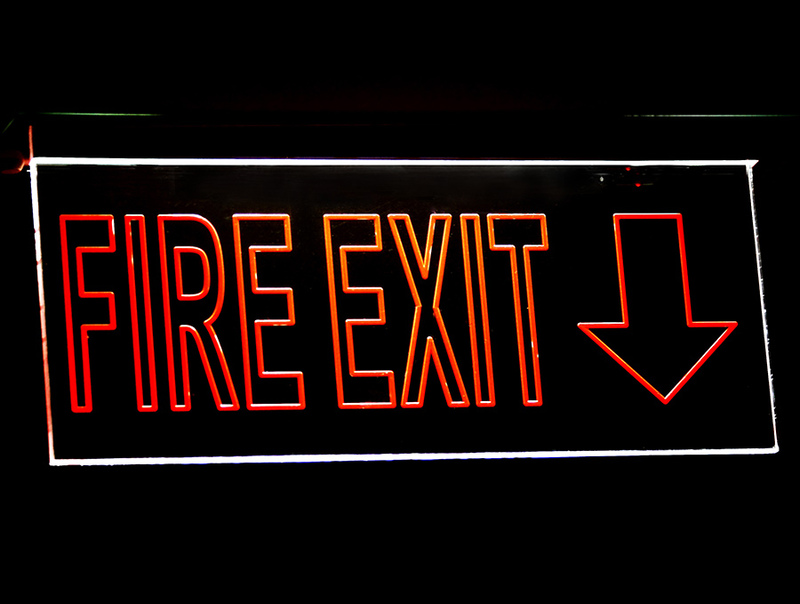 sections didn't light up, different color temperatures and the incorrect width of the strip. Super Bright's version of these lights were consistent, great quality and they shipped them out to me fast. That's the last time I am gonna skimp and try and save a bit ordering from a random place. 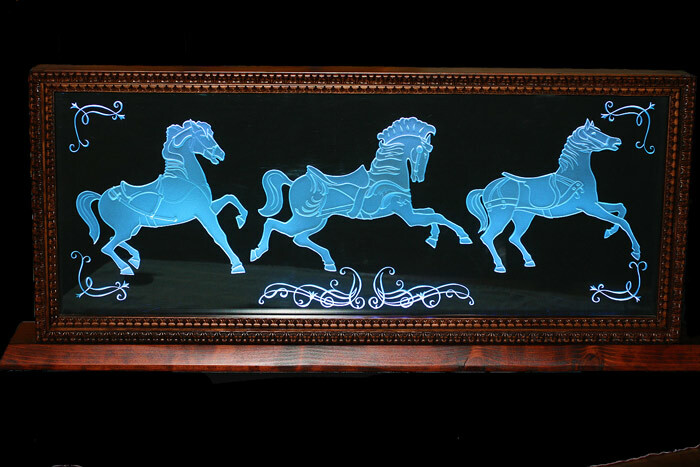 I will go directly to Super Bright LEDs next time and save myself the hassle and waste of time. Love the brightness. 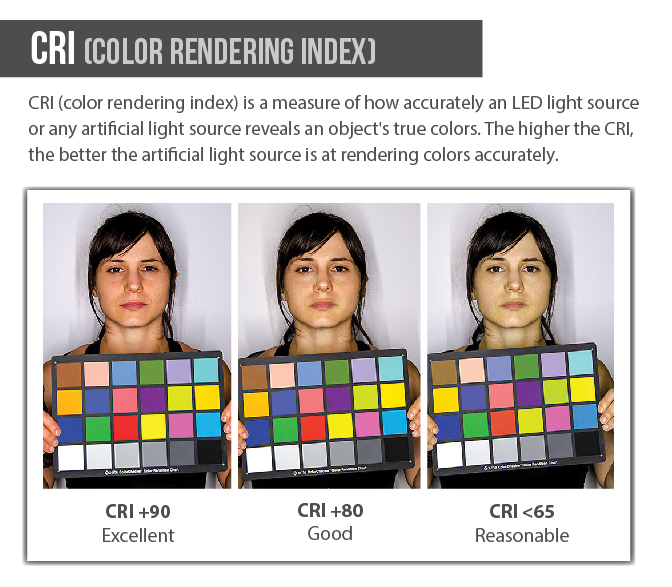 Used 2' in a desk lamp and light is sufficient. Also, the width fits exactly in my saw kerf created by my 3" Craftsman Skill saw. 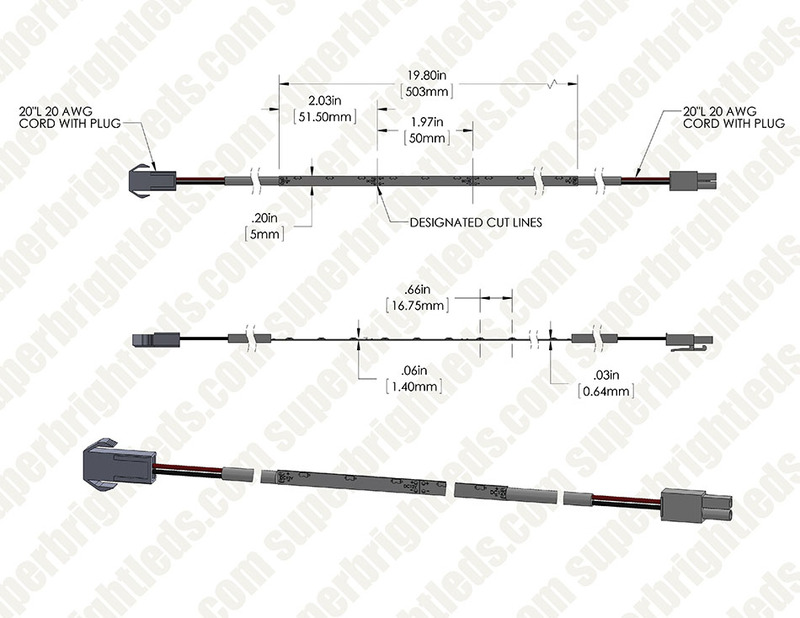 Very slim project lamp arm!! 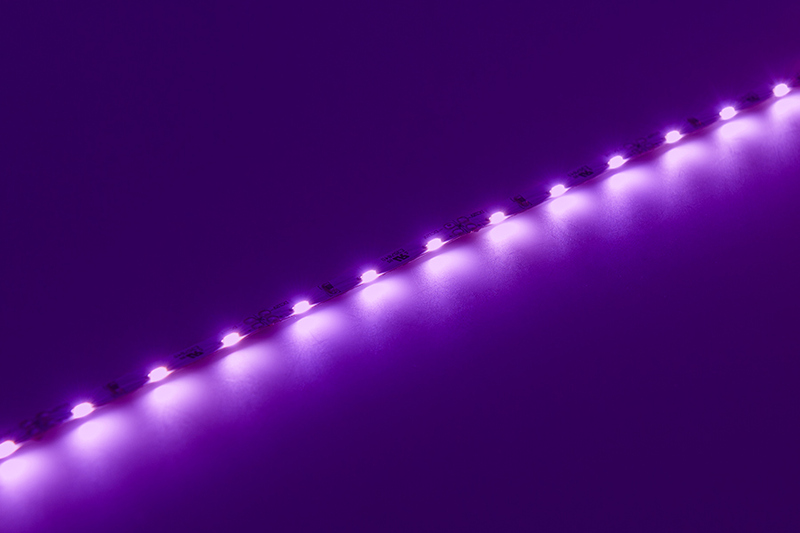 This LED light strip was recommended by a customer service rep. It fit perfectly our application and looks amazing. THANKS! I had two lights in the string that didnt work. 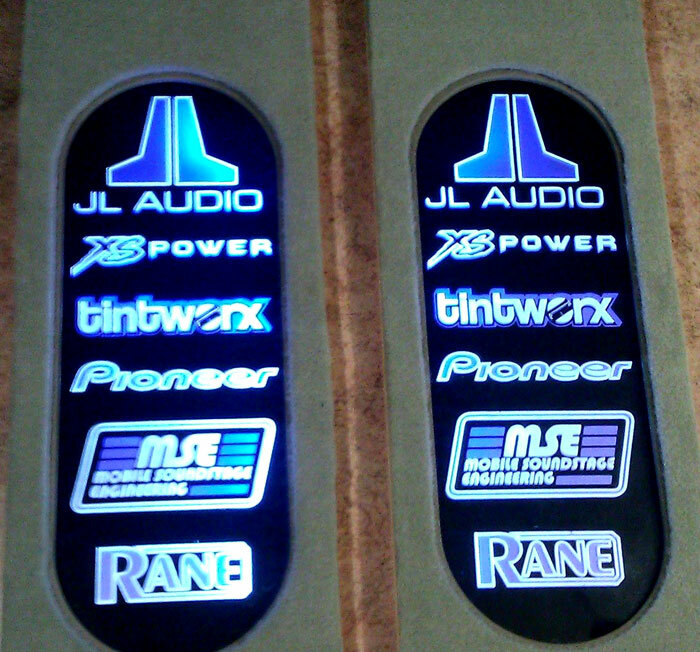 One had the little black component that was not connected ( stuck up ) at one end, and the other had an LED was lit very poorly. In both cases, I had to cut out the damaged section and solder it back together. 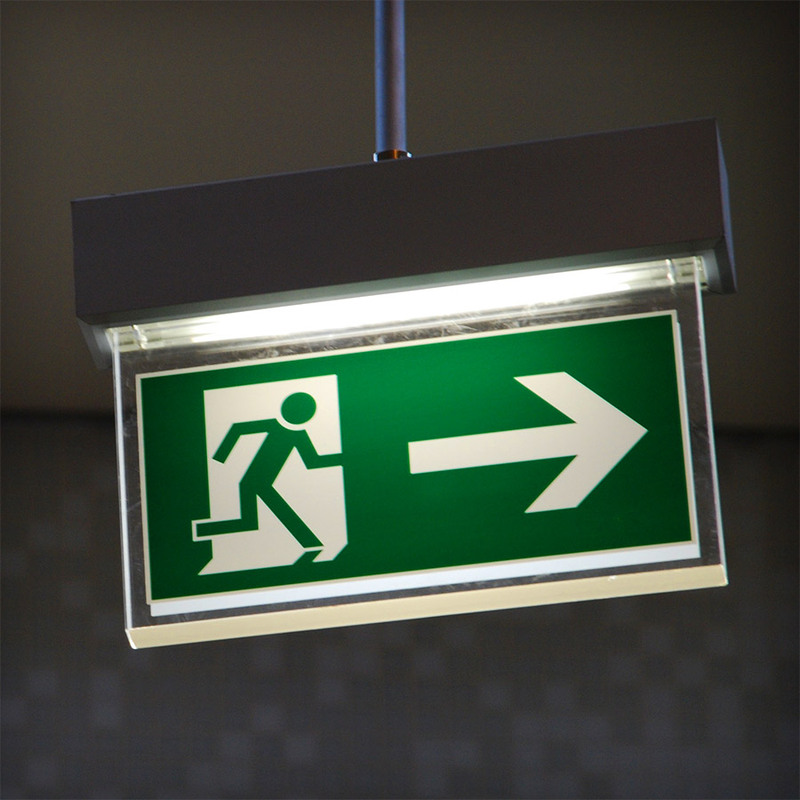 SBL will replace any defective product under terms of warranty. Any product received DOA, will also receive a prepaid return shipping label.